W up with PAOK Thessaloniki (Greece) juniors. Played there till the 2005-06 season. Moved to Italy for the 2006-07 season, signed by Virtus Roma. On February'07 moved to Spain, signed by Valencia CB. Back to Olympiacos Piraeus for the 2009-10 season. Moved to Spain, signed for the remainder of the season by FC Barcelona. Moved to China for the 2016-17 season, signed by Qingdao Double Star Eagles. In February'17 back to Greece, signed by AEK AThens. Moved to Lithuania for the 2017-18 season, signed by Lietuvos rytas Vinius. 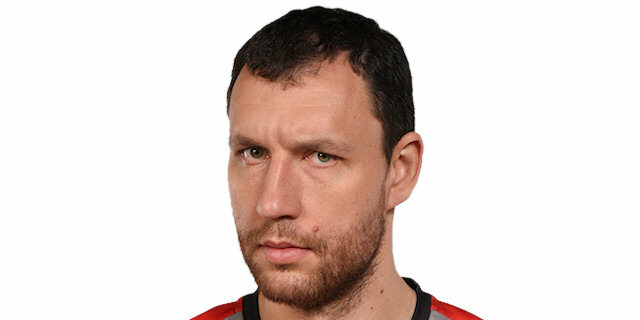 Named the 2011-12 EuroCup Last 16 Week-2 MVP. Won the 2014 and 2015 Greek National Cup with Panathinaikos Athens. Named the 2015 Greek Cup Final MVP. Played the 2006, 2009, 2010 and 2011 Greek All Star Game. Has been member of the Greek U-19, U-20 and U-21 National Team. Won the bronze medal at the 2003 World U-19 Championship. Played at the 2004 U-20 European Championship.